An efficient two story retreat nestled into a cozy backyard. With a narrow site, the challenge was how to best combine both a one-bedroom ADU and garage. To prevent the ADU from getting too segmented, we kept the bedroom and bathroom on the ground level and lifted the living room, kitchen, and dining room onto the second floor. 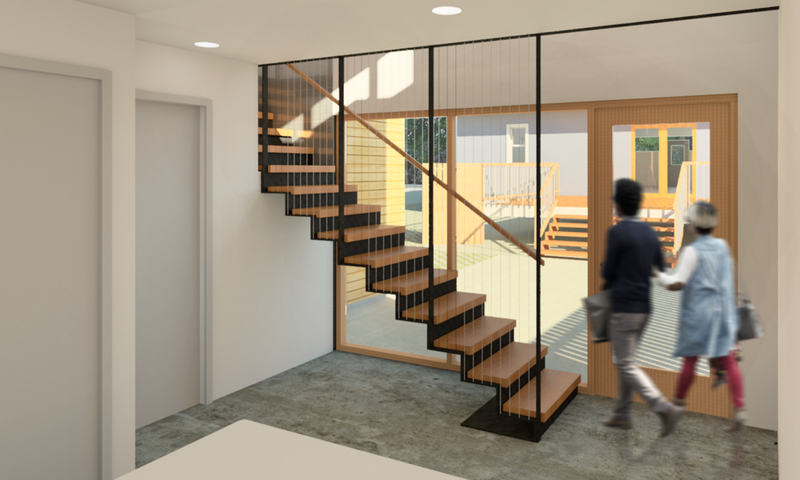 An ornamental stair leads you up to the open floor plan that offers views over the yard and neighborhood. The garage needed a much deeper space than the ADU and by tucking it under the living space we allowed the extra length to act as a rooftop terrace off the living room.